November is National Home Health Care Month, which is very appropriate as the current year winds down and a new one is on the horizon. Since a new year is little more than one month away, now is a great time to be considering the value and the benefits derived by home health care. 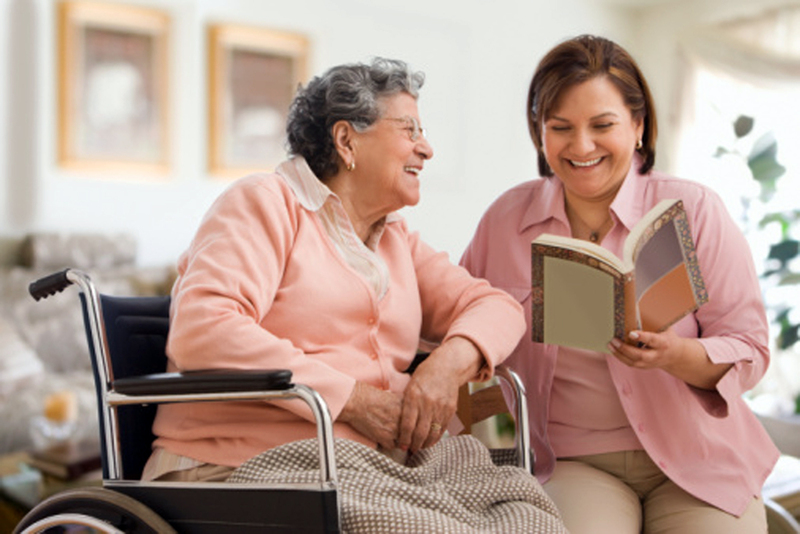 Anyone who has been the recipient of quality home health care can probably identify five and even more benefits of receiving home care in Marysville and elsewhere, but for anyone who is just beginning to consider the possibility, this discussion may help you to decide. If you have a senior loved one who may need in-home care, the benefits identified below can represent powerful reasons to arrange for the service. This is especially important if you are providing health care remotely for your loved one, i.e. you do not reside with your parent, which means you can't be there at all times. Your senior loved ones can receive the daily care they need with essential activities such as bathing and hygiene, meal preparation, navigation around the home, medication reminders, dressing and preparing for bedtime, and plain old companionship. All these activities help greatly and contribute toward a senior's ability to live at home in comfortable surroundings, while also maintaining some semblance of Quality of Life. In-home care can also identify and remove hazards which might make it dangerous for a senior in the home, for instance, slippery surfaces on floors and in bathtubs, loose materials which might present a tripping danger, and the operation of electrical equipment and appliances. Good diet and nutrition may be even more crucial for older individuals than it is for younger persons, so making sure that a senior receives the proper daily nutrition is critically important. Many seniors living at home are also recovering from illness or an extended hospital stay, during which they may have lost weight, so good nutrition is a must. In-home care providers can ensure that their senior charges receive the right amount of the basic food groups necessary for good health. Home-cooked meals can provide a big boost to a senior who might be suffering from malnutrition, and it can also be an enjoyable task to have the elderly person participate in the meal preparation and cooking process. This can make them feel more self-reliant and can be an enjoyable task each day. In some cases, a professional nutritionist might also be engaged to help a senior whose diet requires closer supervision and specific requirements. Research has made it clear that in-home care can help seniors achieve better health results than are possible when seniors live alone without care. This is especially true in cases where seniors have medical conditions such as COPD, diabetes, pneumonia, or any kind of heart disease. The in-home care provided by a professional caregiver increases the likelihood of a full recovery by an elderly patient when recovery is possible. A big reason for this is the one-on-one attention and support provided to the elderly person at home, which often amounts to greater care than the senior would give themselves if left unattended. Studies have shown that seniors trust in-home caregivers to a great extent, and are more likely to be convinced that their best interests are being served by the in-home caregiver. If you've ever had to care for an elderly parent or other loved one, you'll know how exhausting it can be, especially if your loved one is in some way disabled. Delivering that kind of care for someone else can be completely draining, when coupled with all the other normal requirements of running a household, or perhaps working at a steady job. Such scenarios have been known to cause significant burnout in relatives who are charged with caring for an elderly parent, simply because it often happens that the senior cannot do much for himself/herself, and requires assistance for everything. When you arrange for in-home care, it can provide a wonderful respite from caring for your parent, while still having confidence that their health care is being completely taken care of. In the past, it was often necessary to hospitalize a senior for such procedures as intravenous infusions and monitoring of critical body system readings. Many of those procedures can now be conducted right at home, with the assistance of a skilled home caregiver who is knowledgeable about such processes. That can reduce anxiety on the part of the senior since he/she can stay home to receive the same kind of care that would be administered in the hospital. With the development of wearable monitoring equipment, it is no longer necessary to be admitted to the hospital for monitoring vitals, and a number of other hospital procedures can now be performed right at home as well. This is great news for seniors and is just one more of the growing number of significant benefits of in-home health care.